I began my research in Cork City in 1980s with a small set of photographs, my father’s date of birth and his parents’ names from the family bible. 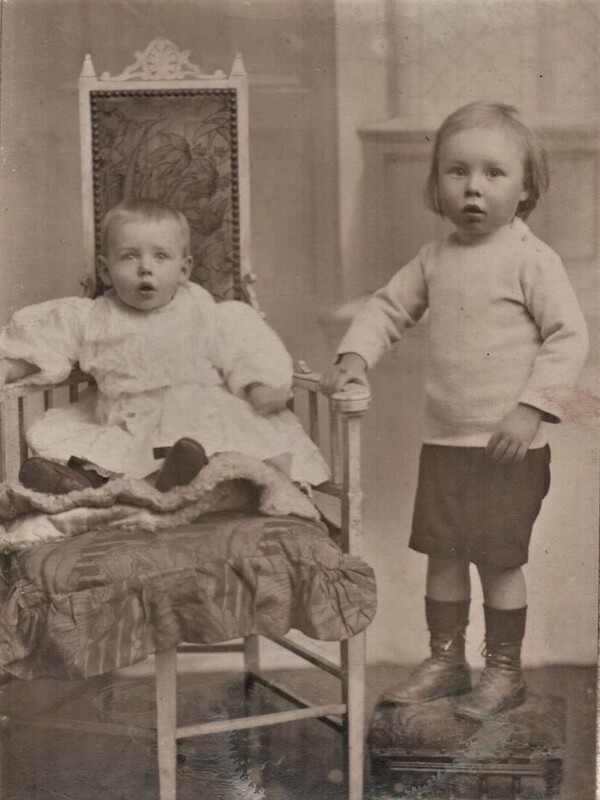 I can identify the boy on the right as my father Charles Coghlan, born July 1910 and can confirm it with an earlier photo. His name is written on the reverse. The identity of the child in the chair has been more of a conundrum. Despite the beautiful dress, the best match from the records is his brother James, who was born in November 1911. I found out that baby boys at this time were dressed in what we today would view as ‘Girls’ clothes until they were ‘breeched’ or dressed in trousers. 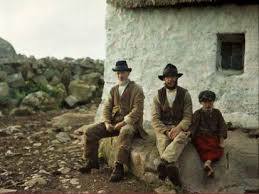 The tradition can been seen in images by French Photographers in 1913 Galway, where it is understood that to keep young boys in skirts was to protect them from the Fairies . However, boys in dresses can be seen in English photographs of this time period and talking to fellow City researchers, the practice seems fairly common here too. The age for ‘breeching’ in The City may be indicated from this photograph, My father dressed in shorts and sweater being about 3 years old and James in the ‘Dress’ being 16 months younger. The ‘Dress’ is also embellished with lace. Lace at this time was still handmade and highly valued. Cork Lace was produced in several locations including Youghal. The source of the lace could come from the boys’ grandmother who was a Draper in the City, or from their Aunt who went to live and work in France in 1900. My next step is to get more advice on the ‘family lace’ since its style could lead me to the area in France where she lived.